There are so many blogging tips available on the internet, from setting up your blog to photography guides. 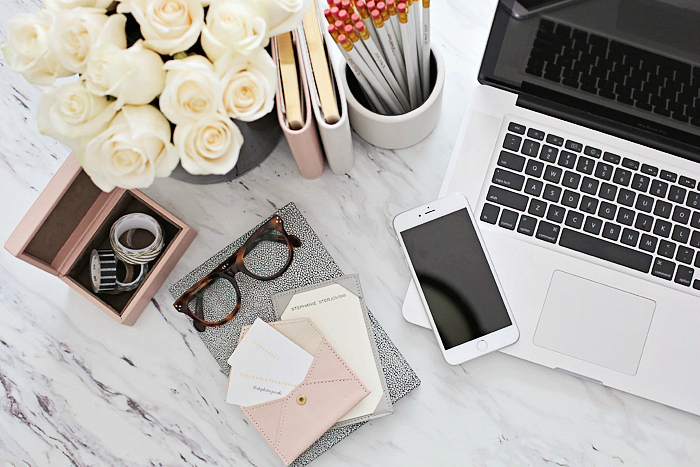 I am always scouting for more of blogging tips because I hope that one day I am able to become a full-time blogger. After reading so many blogging tips online, I find that there are still some important info that bloggers don't share out. And these are the 10 uncommon blogging tips that I think might be useful for those who are looking to take up blogging seriously. Is there any blog or website that you really look up to? Have you ever wish that your blog looks just like that website? The easiest way is to copy what the blogger did. A professional blog takes a long time to establish and chances are the people behind the blogs are media expert, publishers, journalist, writer, or industry insiders. By copying the way they manage their blog will give you a clear direction on what to do. This doesn't mean that you need to copy the blog word-for-word or copy the content. Retain your own writing style, your personality on the blog and your own way of presenting your blog. So, what is it mean? Find your own role website or blog and start studying how the person behind it make it so successful that you have the interest to follow it. We are living in a digital world that driven by statistics. You need to know the overall statistics of your posts, your readerships and your blog activity. If you don't blog based on statistics, you might end up wasting your time and wonder what went wrong. There are a lot of ways for you to mine the data from your website - dropping cookies (not available for those who are using Blogger), create survey form, allowing users to subscribe to your mailing list, and many more. I installed Google Analytics on this blog to study my blog statistics. GA is the most comprehensive, reliable and easy to use tool. For example, on beauty blogs, product reviews often get high readership on a long run. But in a short term, beauty haul generates more readership. Know your audience and what interest them (under Interests > Affinity & In-market segment). With that you can focus on your content and won't waste your time. Getting to know how to mine data, read the data and use the data is an additional skill which can help you a lot in improving your blog. Google Adsense (easiest way but the slowest way to earn money from your blog). It is a good thing if you have high readership. But the valuable part of your blog is your ability to influence your readers to engage in the post you are writing. For example, if you are writing on a product review, how many readers will purchase the product after reading your feedbacks? This is the ROI that you are able to give to your clients (i.e. the brand that provides the sponsor). How do you measure your sales conversion per blog post? This is when affiliate programs come handy. From your affiliate programs payout, you can roughly know how many sales you are able to make from one blog posts. Subscribe to a few affiliate programs and see which one generates more income for you. As a blogger, you probably receive plenty of emails daily on partnerships. 99% of the proposed projects are often non-value added job for your blog. For example, job that requests you to link your post to a certain websites. Sometimes the company already have the fixed content and all you do is to publish it onto your blog. Gigs like this pay about USD50. This is an easy job but it is also non-value added job for your blog. I also get a question from my friend. She was deciding whether to accept a sponsored hotel (RM400+ per night) or a discounted hotel (RM1800+ per night with 70% discount). On a monetary point of view, the RM1800+ package is more worth it because she will receive RM1260 discount on the room. But for your blog, the RM400+ full sponsorship gives you more value because you are able to use the job as a reference whenever you need to pitch for new sponsorship in the future. Focus on content that generates interest from your readers. And say no to jobs you think not worth to be published on your blog. A blogger cannot shy away from social media or any opportunity to be featured. You will get people talking behind your back, especially comments like you're an attention seeker and celebrity-wannabe. I experienced it myself. After awhile I realized that I have no power to control what others think. So I'm just going to focus on working on my blog. You have to constantly remind people of your existence (or rather the existence of your blog) by sharing it on your social media or letting people around you know about your blog. In concept, being a blogger is much like being an actor. Your blog is the movie. But the earning comes from your fame when you are contracted to other jobs like advertisements, modeling and appearance. From my experience, my loyal readers are often my real life friends. If you do not let people know about your blog, you won't be able to get a consistent readership. Fresh news excites everyone. This is your opportunity to spike your blog traffic and also gain new readers. Where can you get the latest news for your blogging topics? Subscribe to newsletters of portals related to your blog topics. Be alert with the news. Read press release that send out by PR companies. Optimize the space of your blog by maximising the amount of posts on the landing page. Readers are able to see your other contents and keep clicking on one post after another. This is why I changed my layout where the landing page is able to see up to 10 posts at once. The previous blog layout which displayed the entire posts through scrolling is no longer practical. Also, include popular posts on the side bar. If the posts are able to attract high readerships, the chances are your new readers are interested in the posts too. Keep your layout clean, minimize on the ads and allow readers to navigate easily on your blog. Being a full time blogger is to treat your blog as a business. Keeping your relationship with PR companies is crucial to keep you hired for a long time. You have to understand that sometimes you don't get called to events, you don't get the product you desired, you don't get the job but your friends do. You cannot predict how the PR make their decisions. But you can definitely keep it professionally. I've seen some bloggers boycott a brand just because they weren't invited to the event. Some even talk bad about the brand publicly. That will give a bad impression to yourself. The blogging industry is small. Keep a good relationship with PR companies, in fact, keep a good relationship with everyone. When you treat other better, the luckier you will get. Everyday there are emerging bloggers somewhere in the world. You have a tight competition. Besides keeping your content fresh, you also have to improve in a lot of things. One of the best way to improve is analyzing your data (refer back to #2) and learn how to improve from there. Remember to track your progress (number of visitors, jobs accepted, events invited and number of posts published). You need to do better than the previous time. Just keep improving and you will be a successful blogger one day. Although I yearn to be a full time blogger, I admit that I still have a long way to go. Although I am able to list all the tips above, I feel that there are a lot of things I need to learn being a blogger. If you have any useful tips, please share it with me. I will be forever grateful for your advise.